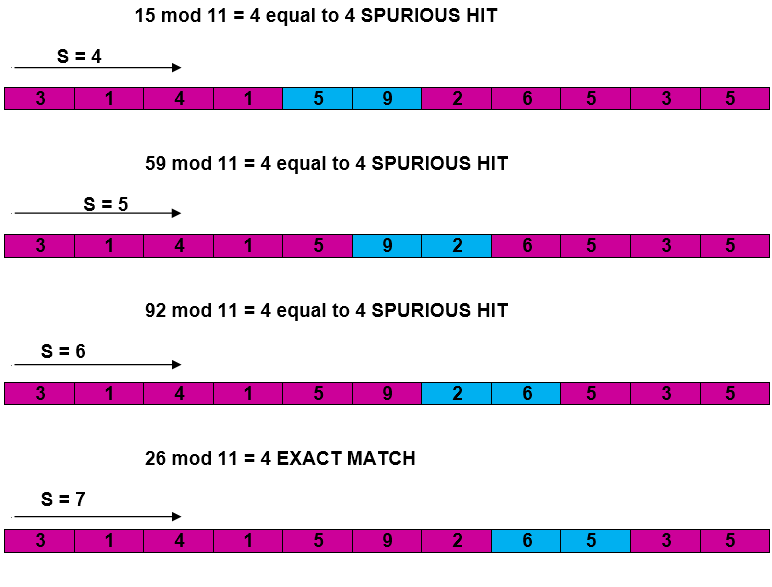 The Rabin-Karp string matching algorithm calculates a hash value for the pattern, as well as for each M-character subsequences of text to be compared. 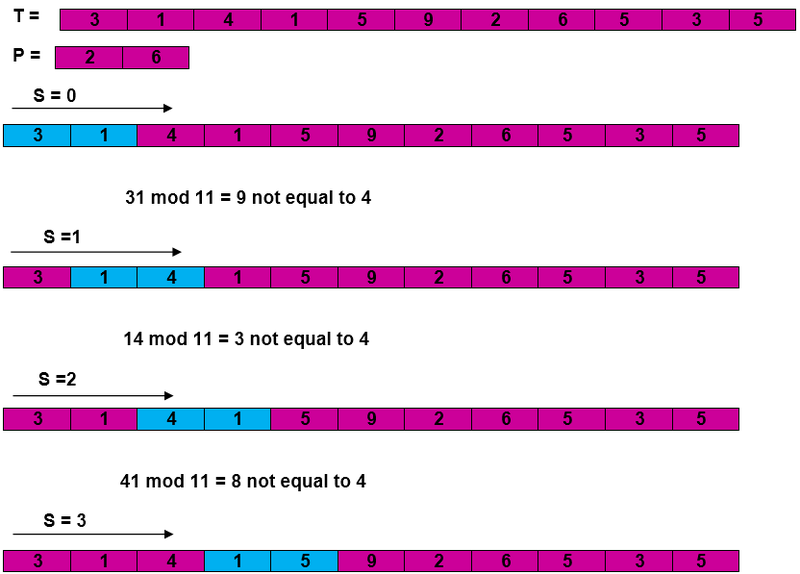 If the hash values are unequal, the algorithm will determine the hash value for next M-character sequence. 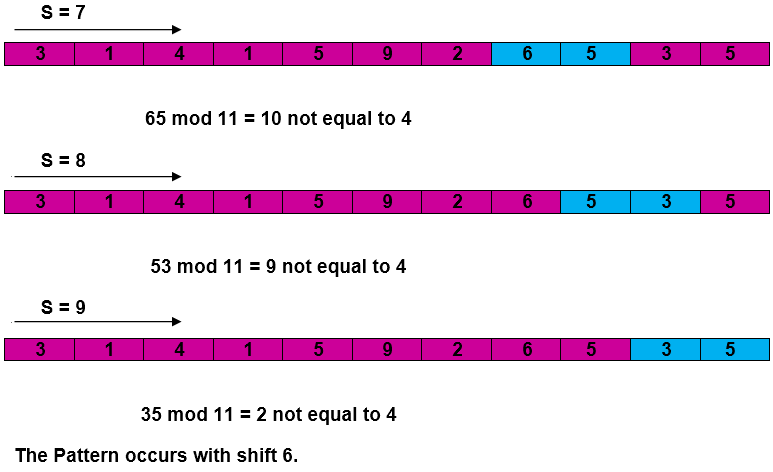 If the hash values are equal, the algorithm will analyze the pattern and the M-character sequence. In this way, there is only one comparison per text subsequence, and character matching is only required when the hash values match. The running time of RABIN-KARP-MATCHER in the worst case scenario O ((n-m+1) m but it has a good average case running time. If the expected number of strong shifts is small O (1) and prime q is chosen to be quite large, then the Rabin-Karp algorithm can be expected to run in time O (n+m) plus the time to require to process spurious hits.